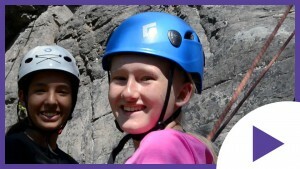 Gateway Freedom Ranch is a fully licensed and accredited alternative adolescent program that works together with parents to help girls age 9-13 who face academic, behavioral, and emotional challenges. From depression or withdrawal to anger and defiance, we face every girl's needs head-on. Our girls learn personal discipline and an "others-centered" approach to life that help them develop healthier relationships, strong Christian values and essential life-skills. 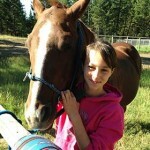 The girls exert focused, purposeful effort that brings regular improvement while they participate in our fully-accredited academic instruction, equine therapy and spiritual growth programs. How Can We Help Your Girl? Our Mission is to help young girls grow in Academic, Emotional, Physical and Spiritual Fitness. We build Self-Discipline and Self-Respect while developing a positive Self-Image. We strive to bring forth healing and healthy habits to the whole family unit while helping young girls break free from any unhealthy behavior or thought patterns that are the driving force behind their actions. We offer Parent Coaching, Conflict resolution, and Equine sessions all while learning in a safe and healthy environment. Gateway Freedom Ranch is a faith based program who believes that all changes must start in the heart, creating a foundation that is filled with passion for a lifelong commitment to Christ and serving others. The girls who come to Gateway Freedom Ranch enter our healthy, safe environment here in rural Montana, away from outside, negative influences, to work on themselves and be transformed into young ladies, manifestly different people from who they were when they arrived. Gateway Freedom Ranch provides a fully-accredited, year-round academic program whose student to teacher ratio will not exceed 10:1. We have the ability to provide an educational setting where your daughter, if sufficiently motivated, can complete a significant amount of academic work in a year’s time. Our Equine Therapy Program is built to help young girls understand themselves and better their relationships with their friends, family, and God. 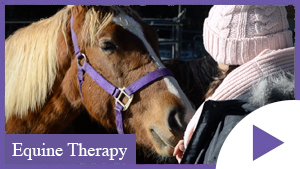 Our program is based on the neuroscience of human and horse brain development, the impact of trauma, and the role of relationships in recovery and healing. 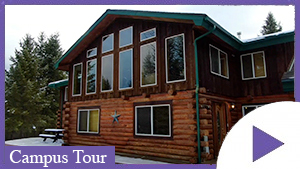 The staff at Gateway Freedom Ranch have years of experience working with young girls who are struggling, and are fully devoted to the health and well-being of your daughter or grandaughter.